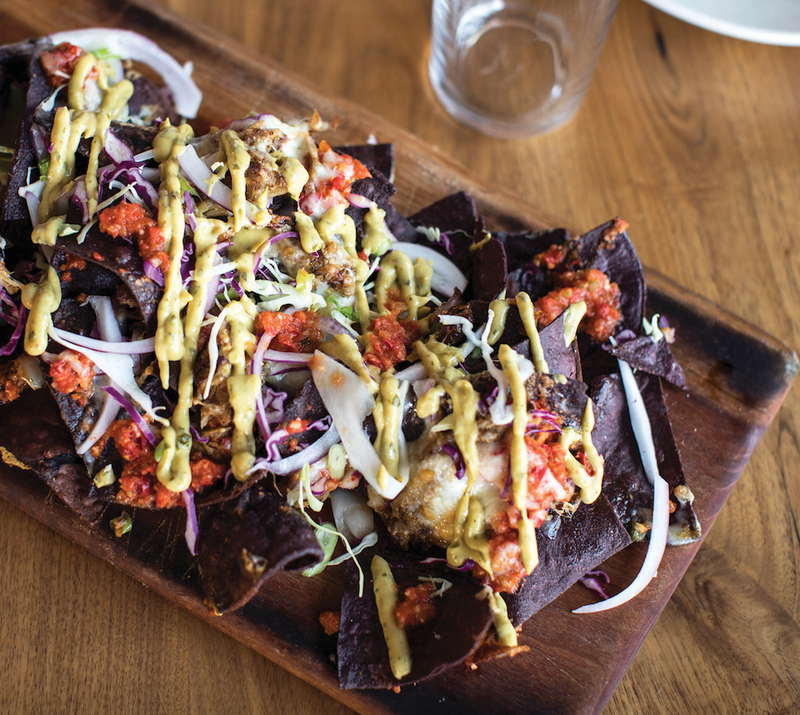 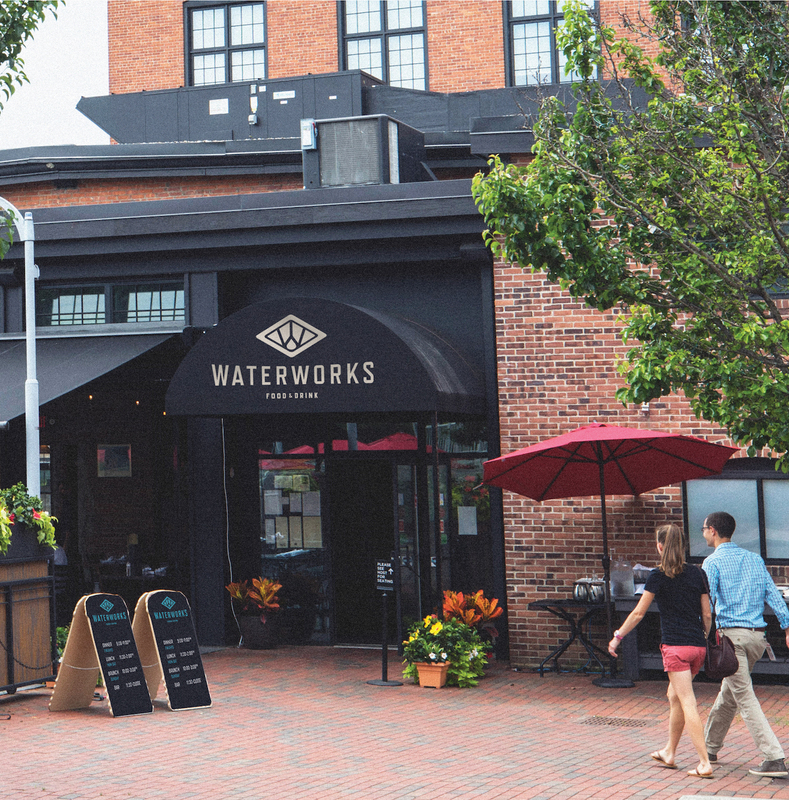 If you know Winooski, Vermont, you know Waterworks Food + Drink. 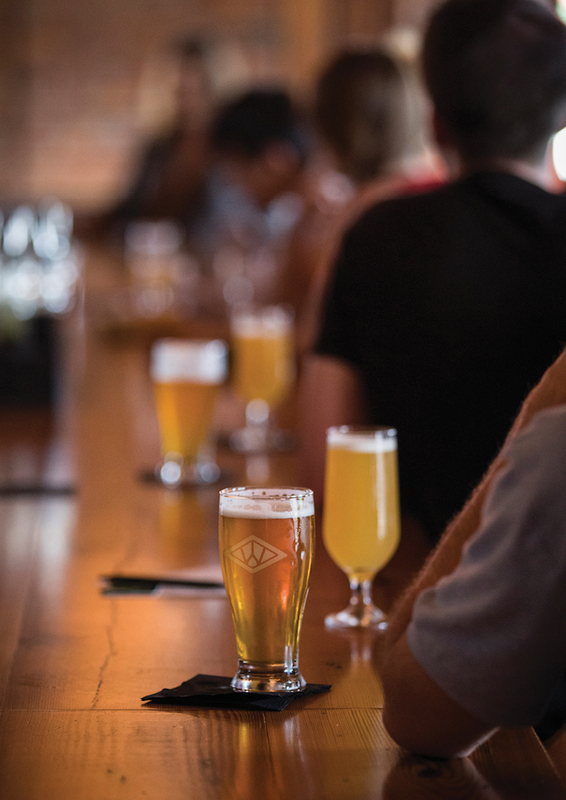 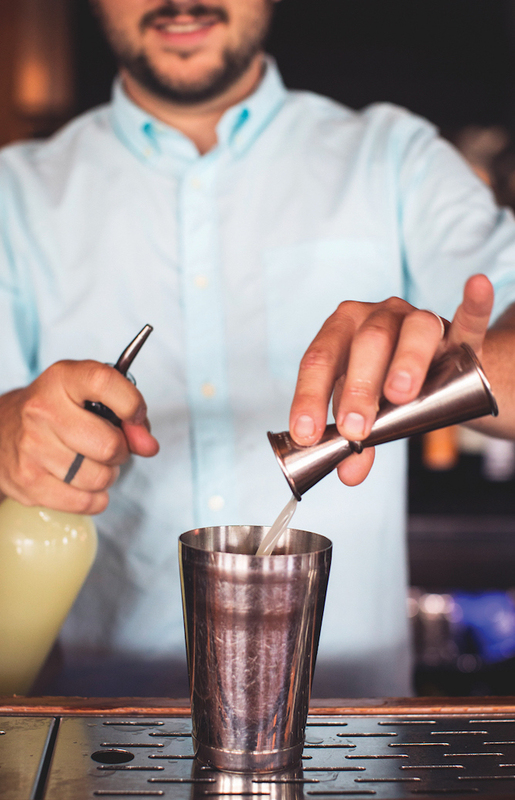 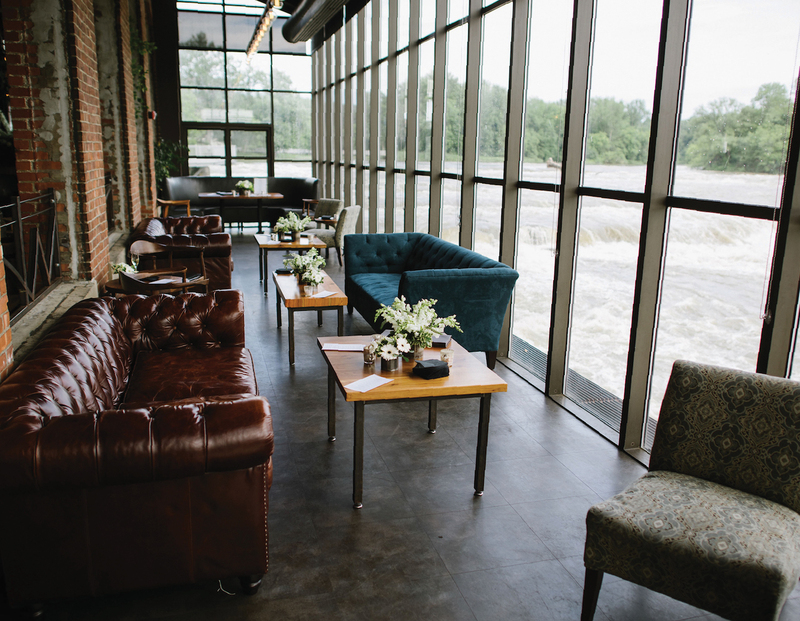 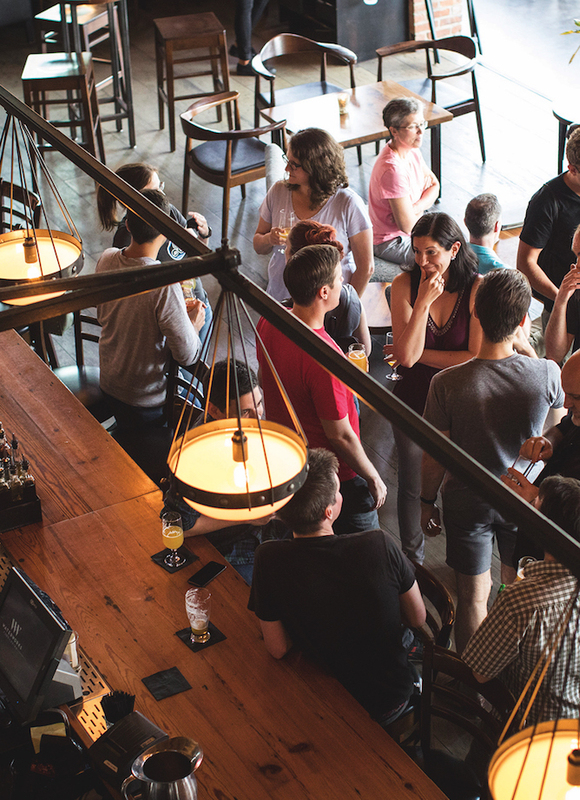 Nestled in the Champlain Mill on the Winooski River, Waterworks is a community hub focused on crafting delicious food and drinks in a uniquely scenic setting. 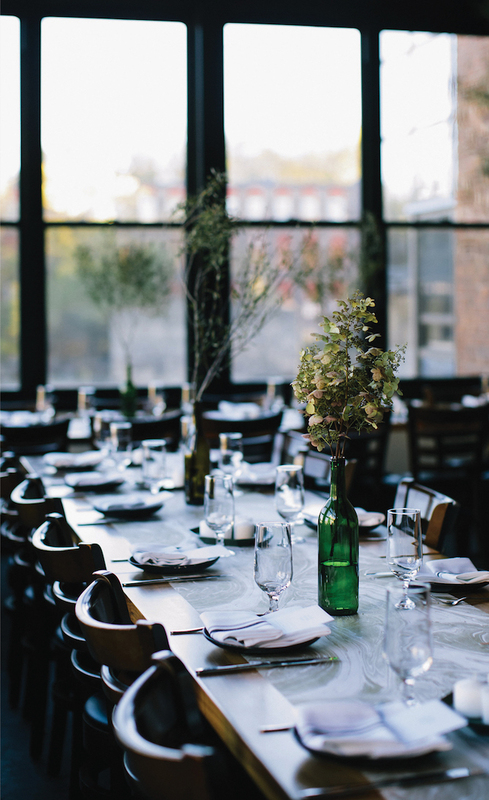 The Waterworks story is rooted in a warm history which crosses over to the restaurant’s atmosphere; one that embodies a friendly neighborhood feel and within the expansive industrial space. 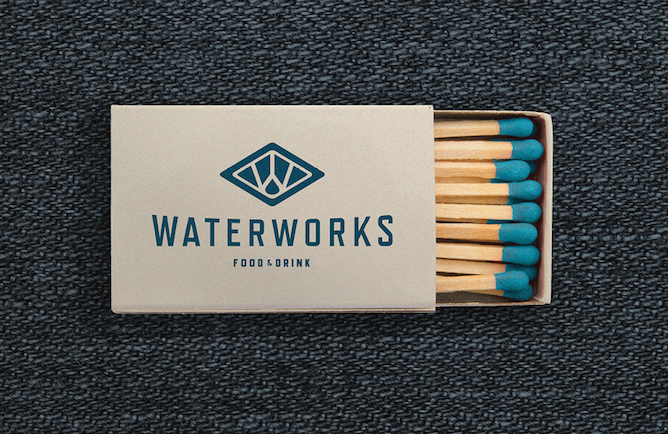 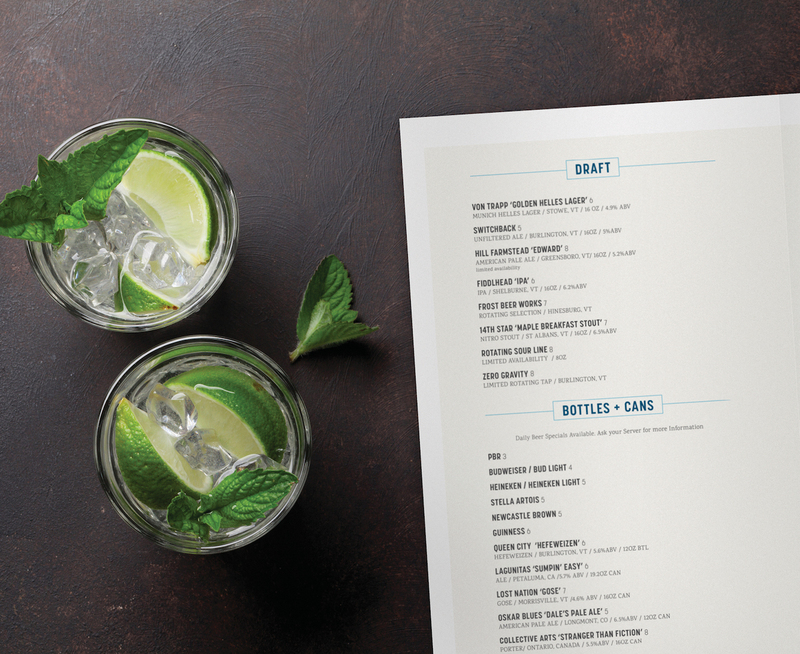 Strong and balanced, the Waterworks identity, like the restaurant, provides something for everyone. 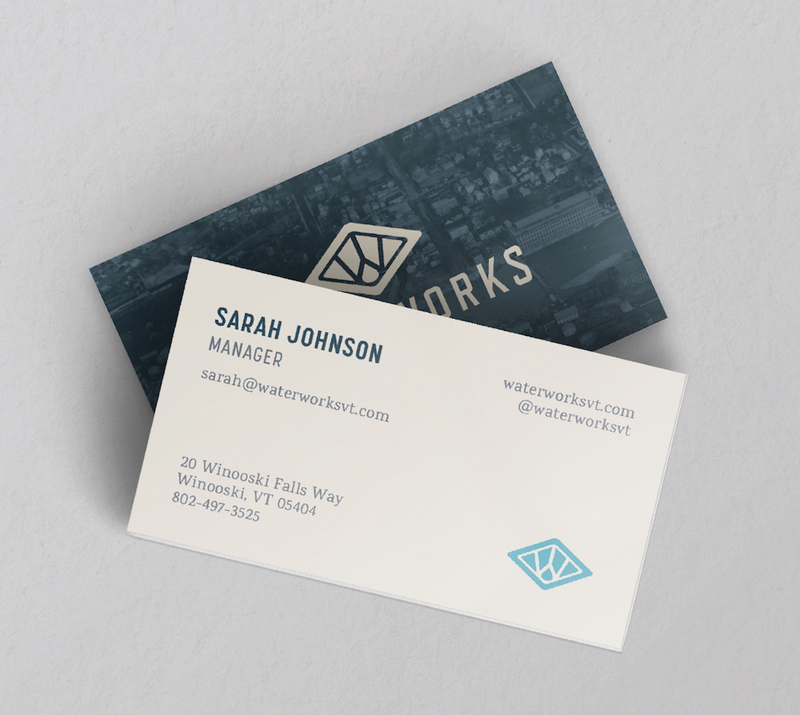 As the hub of Winooski, the Waterworks logo sits in perfect equilibrium between modern and traditional, refined and approachable, simple and sophisticated. 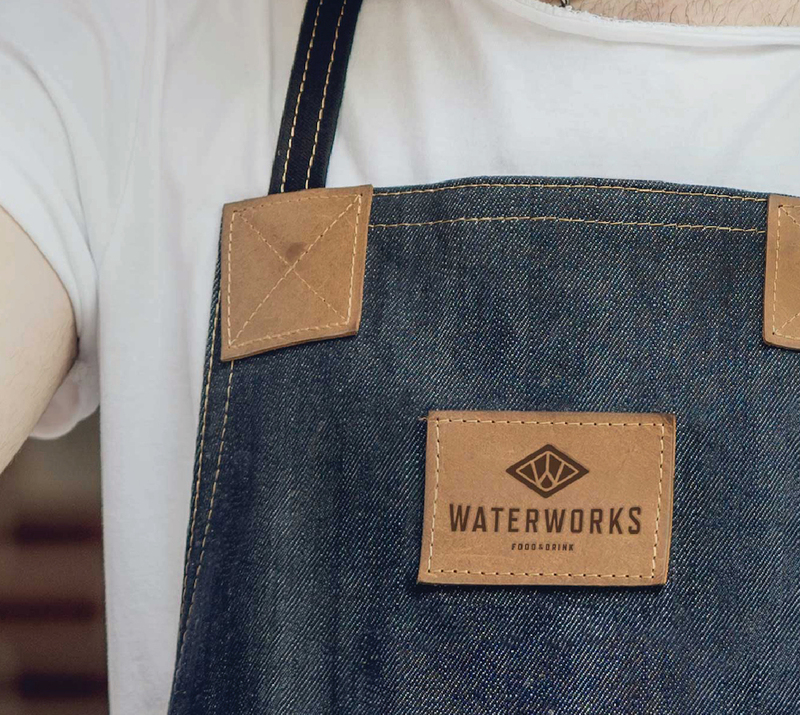 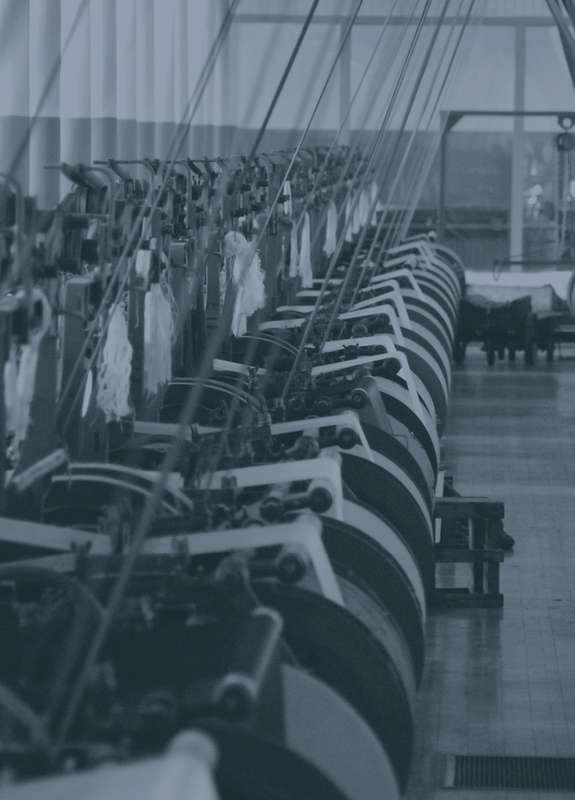 The badge form is inspired by the industrial machinery once housed in the mill, but also takes on a life of its own. 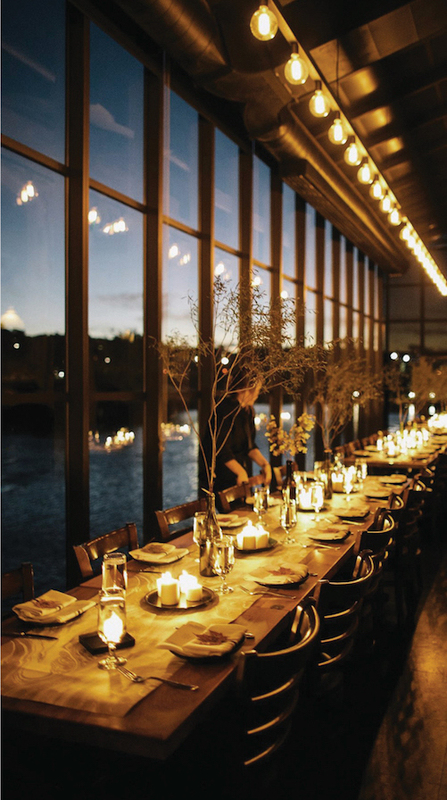 The framed “W” creates a window – a primary feature of the space – and an underlying representation of water and onion bulb. 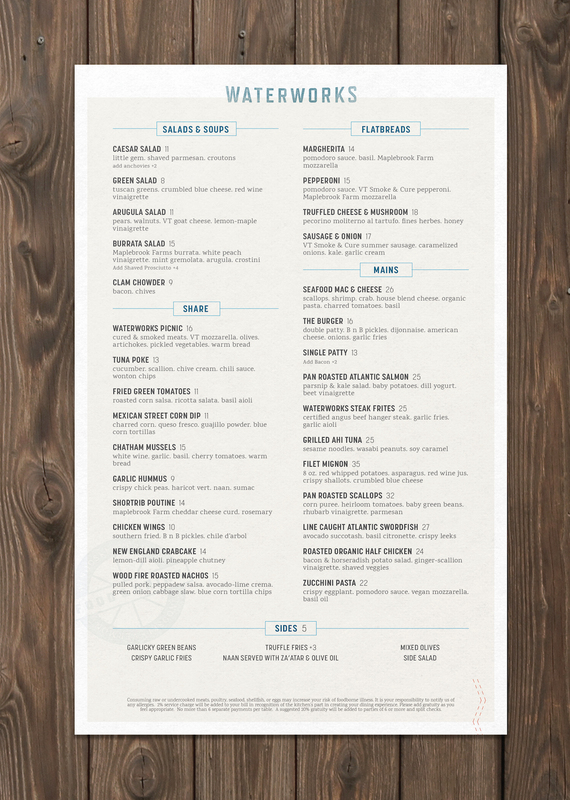 This is a fun, yet powerful nod to Winooski history and local knowledge – Winooski being derived from the Abenaki word for onion.